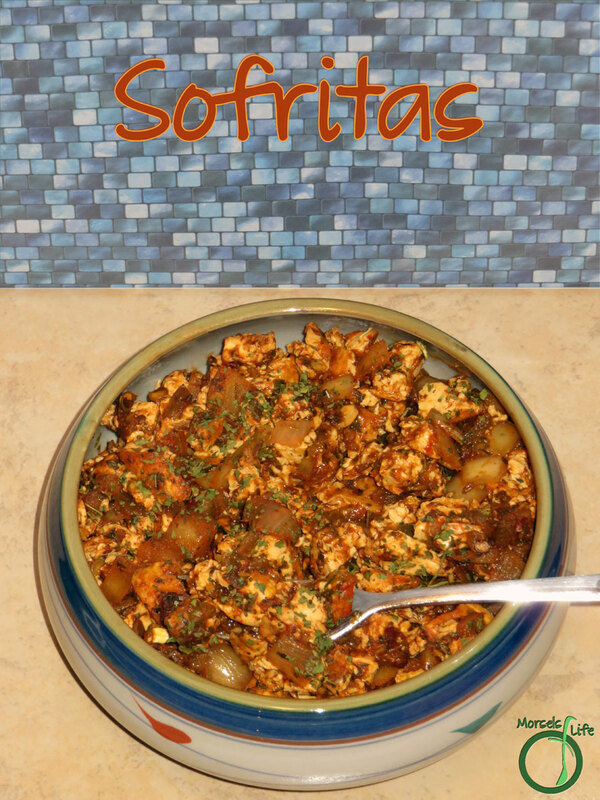 I'd heard about sofritas before, and even tried them at Chipotle, but I always thought it'd be some complex and time consuming recipe beyond what I'd be willing or able to make at home. 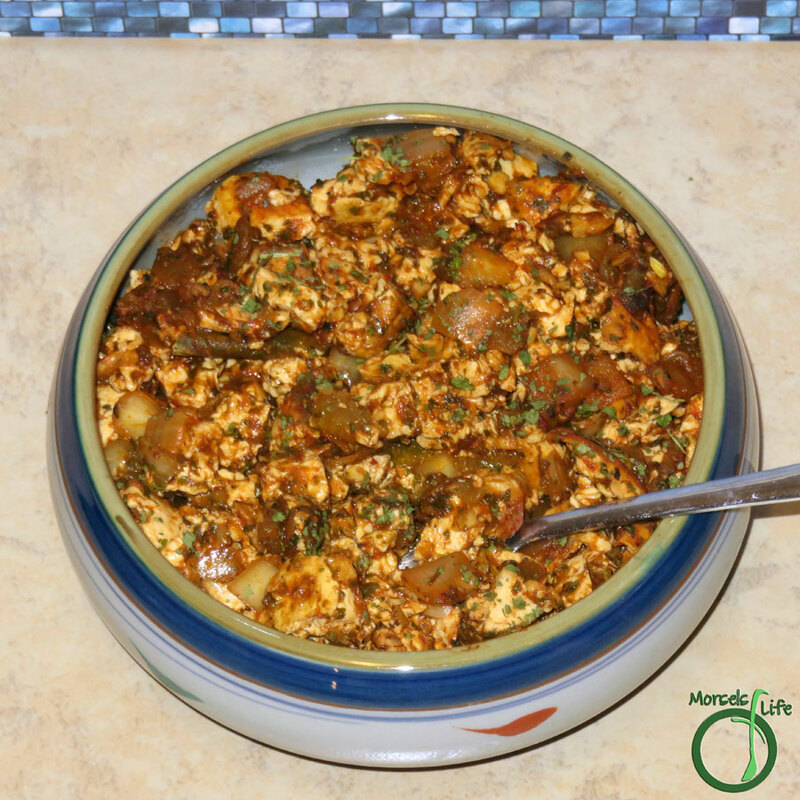 Then I thought about it some more, and going through some of the flavors, it seemed like you could simply scramble tofu in an adobo tomato sauce. Not too difficult at all! Part of the trick is to use really firm tofu. I've gotten the best results with an extra firm "restaurant" style tofu. I'm not sure what makes a tofu "restaurant" style, but I find it easier to work with than the regular extra firm. I'm even gotten away with just draining really well and not pressing the tofu, my least favorite part of working with tofu. So with the time I saved not needing to press the tofu, I used pan frying it before cooking it in an adobo tomato sauce. 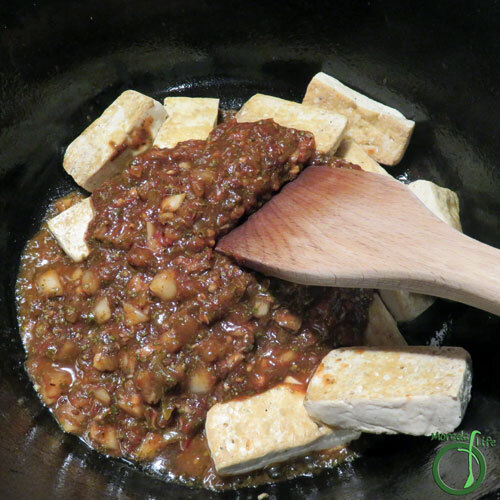 Pan frying first is an optional step, although pan frying it first will result in a different texture compared to just cooking the tofu in sauce. Any way you make it, you're sure to enjoy these richly flavorful, spicy, and savory sofritas! 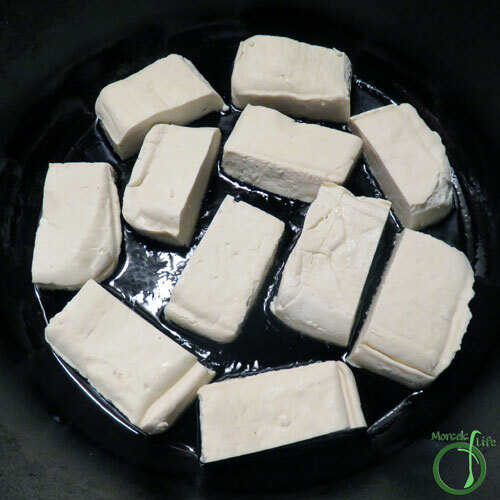 What's your favorite type of tofu to use? Why do you like it? Enjoy sofritas at home! 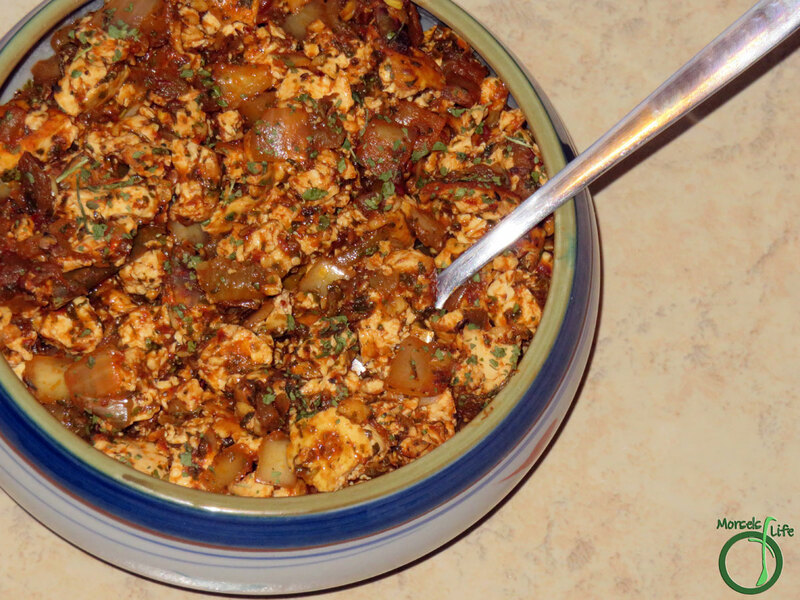 Simply braise tofu in a smoky adobo sauce for some richly flavorful, spicy, and savory sofritas. It's easier than you might think! 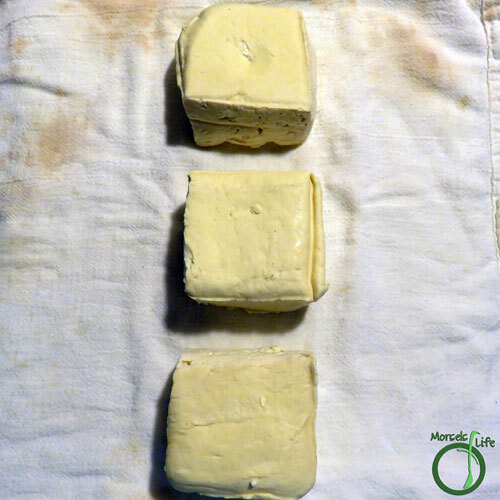 572 grams 20.25 ounces 3 blocks tofu, drained I used an extra firm Restaurant style tofu. 113 grams 4 ounces 1/2 cup 1 small can green chiles You could also use roasted poblano peppers. 4 tablespoons adobo sauce I used about half actual sauce and half pureed peppers from a can of chipotle peppers in adobo sauce. 2. 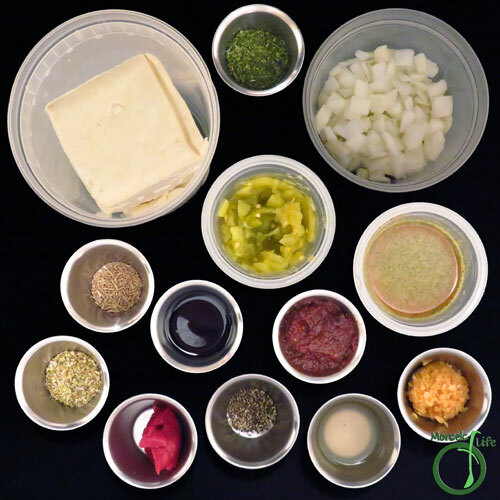 Form sauce by combining all materials except tofu. 5. Add sauce from Step 2 and scramble tofu. 6. 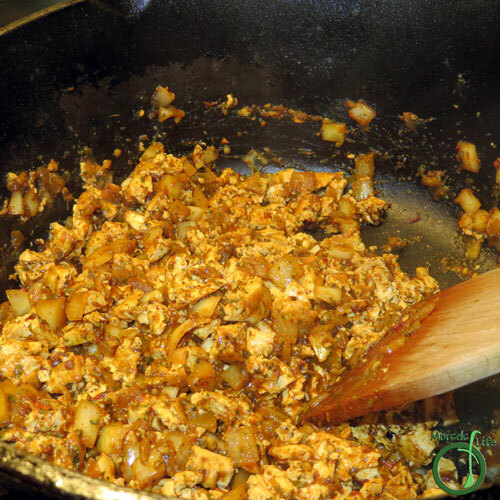 Continue to scramble tofu until desired size reached, fragrant, and sauce reduced to desired consistency. Thank you for being such a good friend and sharing at my parties! I have not heard of sofritas so this is very interesting. I imagine this to be a very tasty dish. It is! The chipotle really adds lots of extra flavor. :) Give it a try and see! Not every chipotle has these and I've been dying to try them! 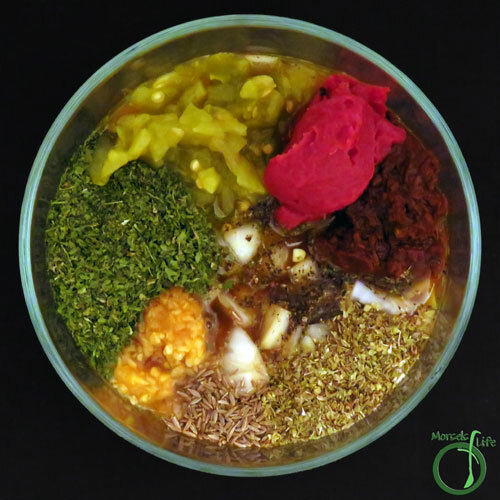 Lovely recipe and Thanks for sharing with us at Throwback Thursday!